This was a hard list to put together. Not because there weren't enough shoes that deserved accolades, but because there were too many that were outstanding. We're living in the Golden Age of running shoes, and from what I've seen of what's coming, next year is just going to get better. 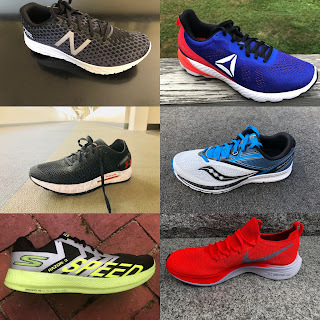 Below is my breakdown of the best daily trainer, trail shoe, and speedwork/race shoe, and of course the shoe of the year before getting into a little bit of tech. If you've been following along the reviews, I have a habit of making shoe/car comparisons in the comments so as a little bonus, I'm also adding a car comparison to each shoe. Dom: The Superior is the lightest, lowest-stack shoe in Altra’s trail shoe line-up. (I’m not counting the King MT, which sits in a niche category of OCR and deep mud.) 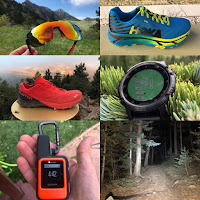 I complained that the previous version of the Superior was too heavy and felt almost indistinguishable in feel from the Lone Peak, Altra’s next shoe up. Version 4.0 of the Superior is very different: dramatically lighter and softer, with a new midsole material, and a spectacular glove-like upper. This is a nearly perfect shoe for me. It’s comfortable enough to go long distance without beating up my legs, but snappy enough that I don’t have to sacrifice speed for comfort. I love how flexible the sole is. 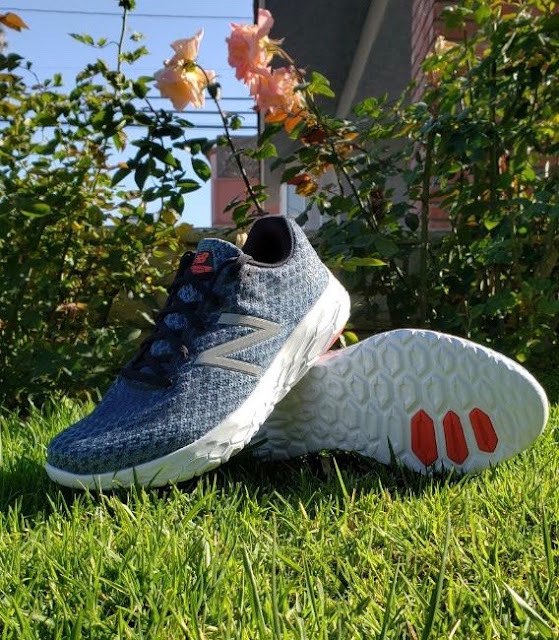 With durable rubber strategically placed in high-wear areas, the ground contact version of Fresh Foam functions as midsole and outsole. There’s no bloat here — everything I need and nothing I don’t. My one gripe is a small one: the woven upper is dense and not quite as breathable as I’d like for warm weather use. I’m very nervous about the 2019 update for this model since I love it so much as it is. Saucony keeps making this shoe better and better. The K10 coming in 2019 is a real treat, but don’t sleep on the K9. 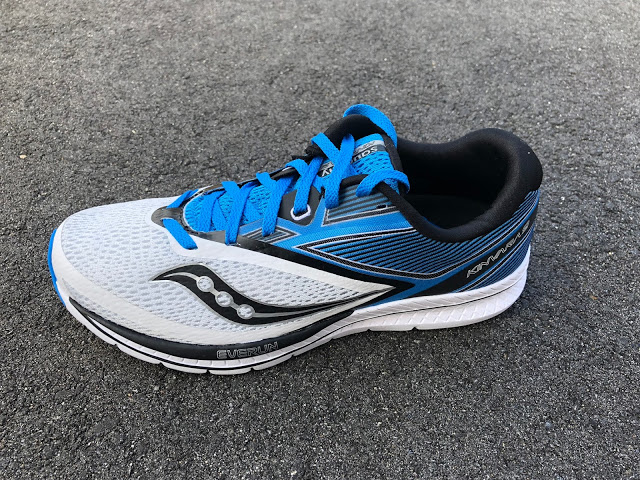 Saucony flattened the heel bevel compared to the K8 and made the outsole pods more flush with the midsole. The result is a smoother riding shoe that is still light and responsive. This is probably a sleeper pick. I think it’s a solid, thoroughly modern design and fairly priced ($100) neutral shoe that would work for nearly every runner. 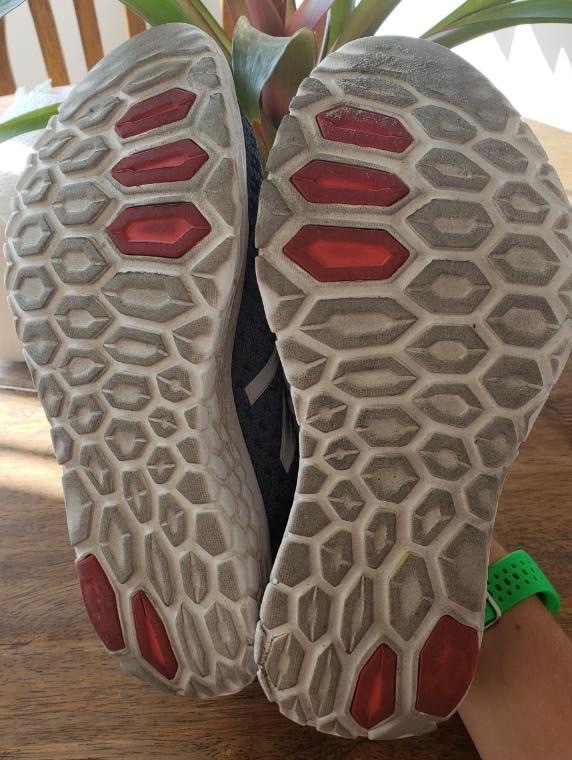 The HOVR Sonic is bouncy and flexible yet features a ton of outsole rubber (and a seriously weird looking rubber configuration that doesn’t look like anything you’ve seen before on a running shoe, but trust me, it works) that will last for hundreds of daily miles. I love the flexible forefoot and the great ground feel it provides. This shoe begs to go fast and it looks good doing it. The SR2 has one of the best uppers of 2018: soft, conforms to my feet, and easily sheds dirt and rainwater. I’ve enjoyed it during hill workouts and speedy efforts. It’s a great do-everything trainer, and like the HOVR Sonic, also fairly priced at $100. There’s not a lot I can say about this model that hasn’t already been said. It’s simply outstanding. 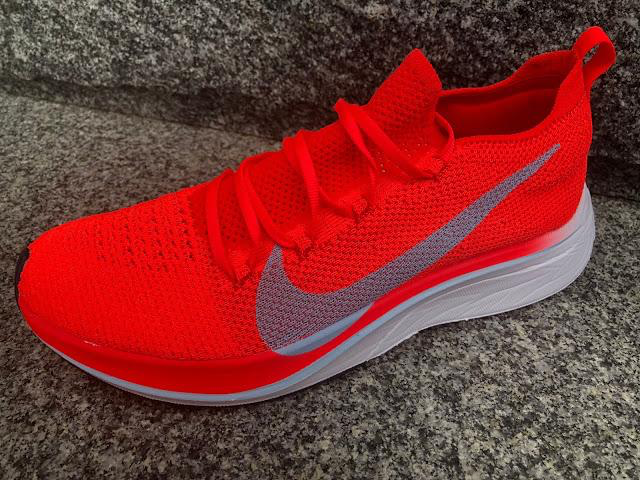 The Flyknit improves upon the OG 4%’s somewhat overly loose upper. The more precise-fitting upper lets the propulsive forefoot really shine. I’d still love a more stable heel for marathon use, but I’m very happy with how the 4% FK rolls along at speed. Hyper Burst foam is my favorite 2018 midsole tech. It means I can have enough foam underfoot to not feel too beat up after long runs, but it’s amazingly light so it doesn’t weigh me down. I raced a fall marathon in the R3. Even though I had a tough day, the shoe held up and I had fresh enough legs to still pass people during the final 10k. There might not be enough outsole rubber for the R3 to flex into the daily trainer role, but I think it can do everything a daily trainer does. If you’re going to have a one-shoe rotation the R3 would be a great pick. With a more comfortable upper, the Adios 4 would have snagged second place. I’m blown away by the perfect balance of softness and responsiveness that the Adios 4 delivers. 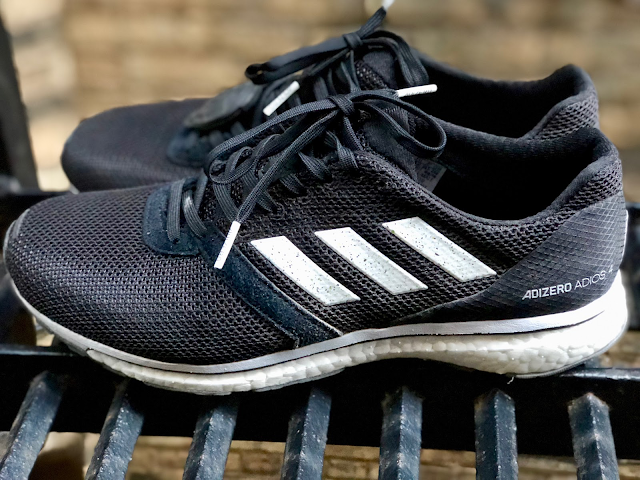 It’s not a featherweight racer, but the controlled bounce of the Boost midsole makes up for the heavier weight. 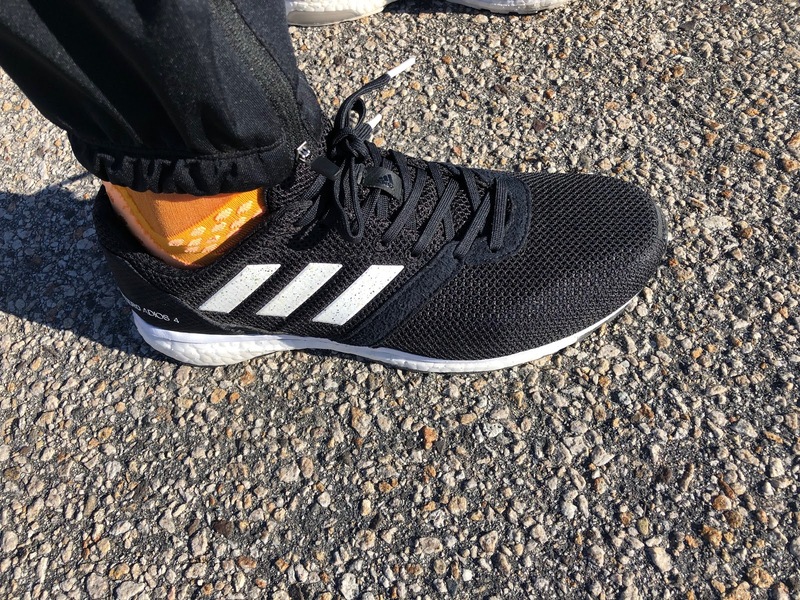 If Adidas could make an upper for this that was less scratchy, it could be the perfect 10+ mile racer. 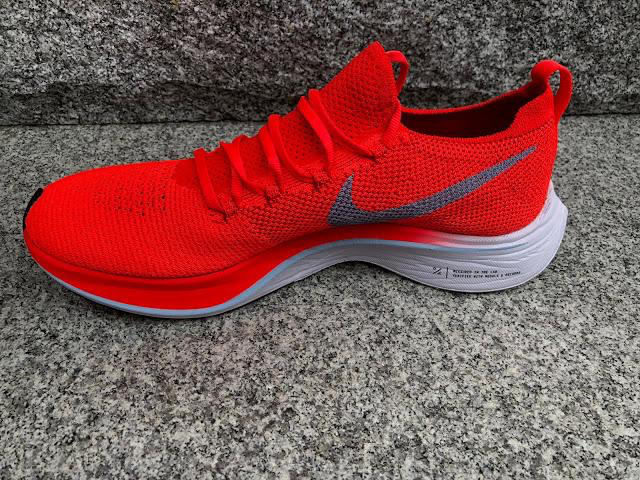 It certainly has the Zoom Fly 4% beat in terms of durability, especially for the price. Thanks for Reading Road Trail Run in 2018! 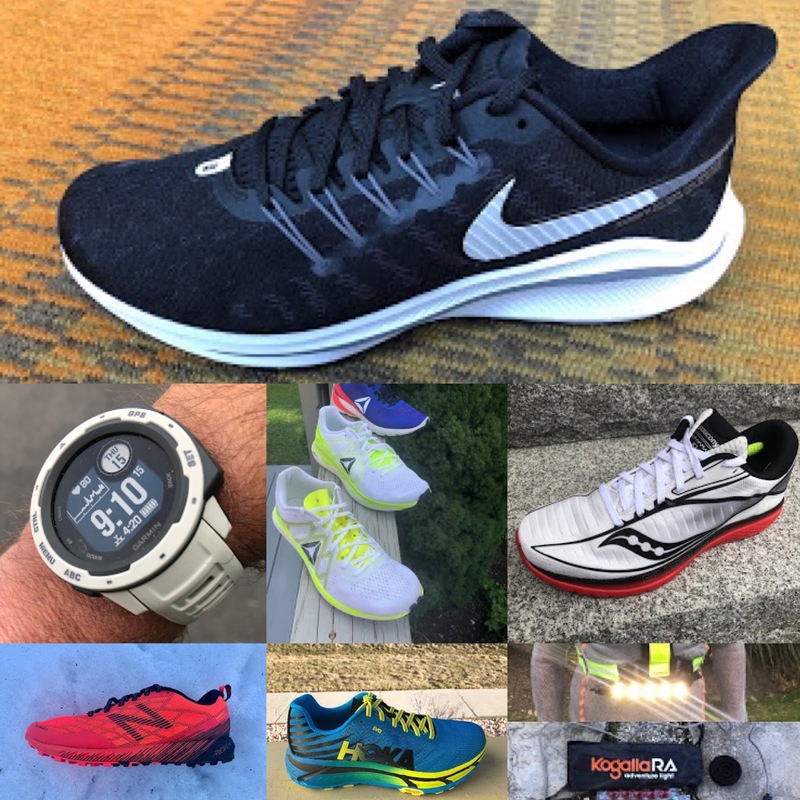 What were your Running Favorites of 2018? I'm kind of bending the rules a bit here, but as of last week, Kinvara 9 (RTR review) was my clear cut favorite for overall trainer of the year with me. 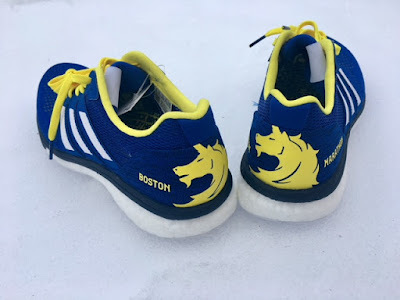 However, I found myself reaching more and more for the Boston 7 (RTR review) the last 7 days or so, and I have to tell you it's just as damn good as the Kinvara! The beauty of both of these shoes is that they can perform a wide variety of functions. That is important to me in the "daily trainer" category. 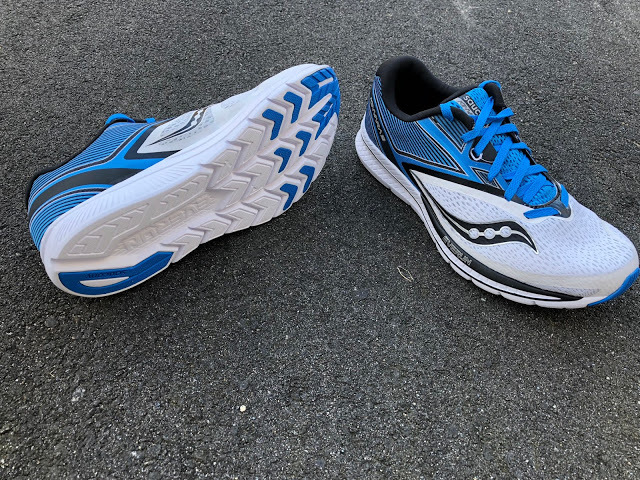 They are smooth and efficient enough to help a banged up stride on a recovery day feel effortless, while also being light enough and snappy enough off the forefoot to step down on the gas during a Fartlek, Tempo or Progression run. They both also fit my foot extremely well, full of well designed uppers that mold to my narrow foot and correct lacing schemes. I feel locked and loaded in both, just as if I was in a racing flat. I like that feel in all of my shoes. Price points are also in the moderate wheelhouse for a solid shoe that will last. I know Kinvara struggled with durability over the years, but at almost 400 miles, my K9 are still going strong! 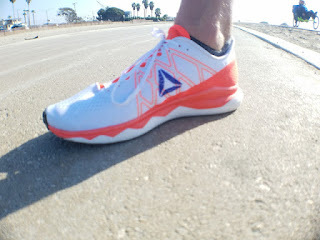 Unless you're living under a rock, Reebok is back in the run game and making some oh so fine stuff! Run Fast is legit, its Floatride Foam PEBAX midsole is legit. This shoe can do so much, and while being labeled more of a racer, it is still just as good as a trainer, even on easy days. It leaves you with a smile on your face and makes your miles ever so smooth. But honestly, if it says fast, let's go fast! Man, can this baby crank. I've used it on hill rep days, segment workouts at Vo2 max effort, Tempo Runs, both steady effort and progressive tempo and Fartlek's and on the track for 800's. It's also raced from 5K to Half Mary and Run Fast really has a fine place in the wheelhouse for 13.1. Don't sleep on this shoe! Want a little more underfoot for 15K and up? 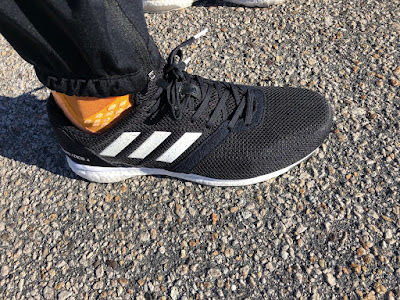 (not to say you can't race shorter in this...it's just where I like it) Slide on the Adidas Adios 4 (RTR review). It came very late in the year...in fact....was just released. But you know what they say? Always show up to a party fashionably late, right!? This shoe can scream on the roads. My first workout in it was 5 x 5 mins @ Vo2 max effort (5:35 pace) with 3:30 recovery jog rest on the roads. Even for this washed up old coach, I felt young again. BOOST is back! And it is back with a vengeance. A4 boasts a very smooth heel to toe transition and a ton of power off of the forefoot. Exactly the way I like a racer to feel. There is no getting "stuck" in the mid foot like you feel in some other racers where you need to force toe off. This shoe does all the work and I like that. It makes workouts and races go by like a breeze. 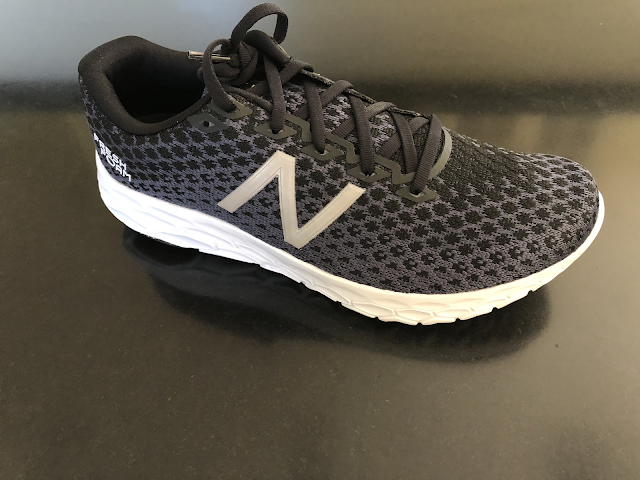 I think this shoe will do well at the Full Mary depending on runner biomechanics and has enough underfoot to take you 26.2. I've been very critical of Hoka road shoes over the past few years. Far too much cush, lack of responsiveness and I've just left runs feeling far overworked and beat up. 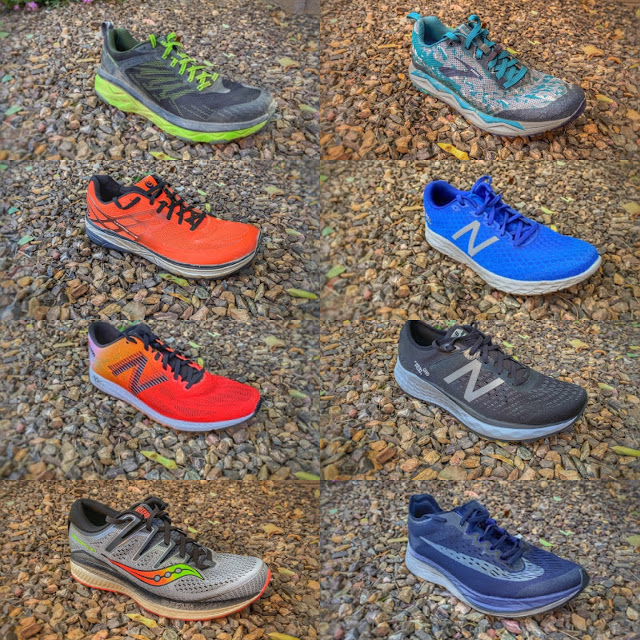 But man, it's like there is a whole new company making their trail shoes. 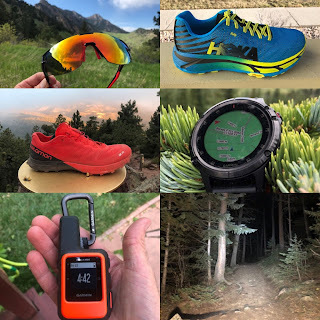 They have hands down been the best trail running company of 2018 for me and it's just keeps on getting better! The Hoka Torrent is amazing. A mix between a racer and a daily trail cruiser, the Torrent is all that. It's a pleasure to run in and it's packed with a smooth ride, solid grip and reduced weight if you want to pick up the pace in a trail workout like a Fartlek or Tempo or even better, a race! 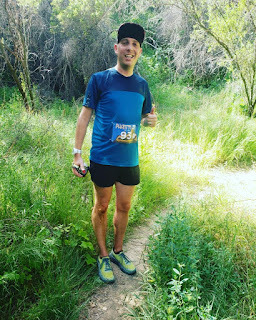 I raced a 15 Mile trail race in the Santa Monica Mountains out of the box in Torrent and it was a dandy! It corners well, holds well on the downhills and keep the legs fresh mile after mile. I've done many long Ultra training runs up to 30 miles in it too, which is where it about bottoms out for me. Looking to go longer, grab the EVO Mafate, Speedgoat 3 or Challenger ATR 5. Note: Torrent is not an overly aggressive trail shoe for you Colorado, PNW or East Coast peeps, but it works very very well on the wide/singletrack dry cruisers here in SoCal where I live. It's moderately priced, rides well and gets the job done. An absolutely amazing shoe! Man, was Fresh Foam dead in its tracks for the last bunch of years. But they came in hot with the new Fresh Foam GC (Ground contact) midsole compound and it was on point! 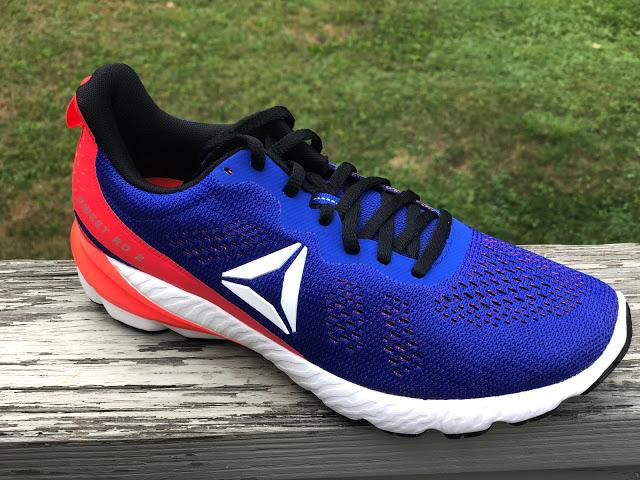 The Beacon is everything I like in a running shoe. 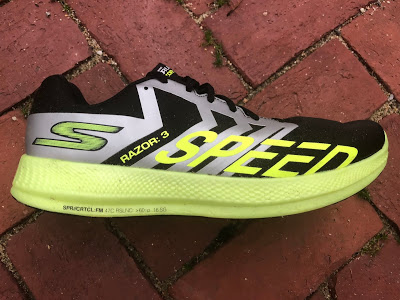 It's versatile enough to even race in (in fact I had multiple female athletes I coach break 3:00 in the Marathon in it) - - yet subtle enough for effortless feeling recovery days and smooth smooth long and medium long runs. I'm almost 500 miles in on my pair and it's about time to retire it. For $120 I'd say it's a ton of shoe for that price!! Snappy, efficient and makes you come back day in and day out for more. 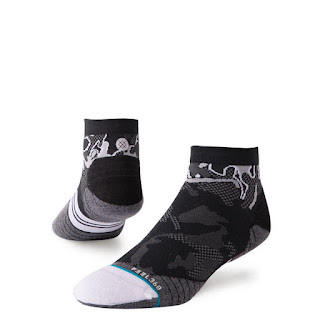 Killer designs, heat management, no blisters, wash well and they go the long haul in Ultra training. Coming in at a price point of $16, and almost always on sale at runningwarehouse.com, you can't go wrong. Coming straight from one of the best runners New York State ever saw in High School (NY is my roots) Anthony Famliglietti, and a runner I looked up to when I was young, Reckless Running brought the game in 2018. Killer designs, custom fitting for you (see Karen, she'll make any special requests for you in sizing and tailoring). 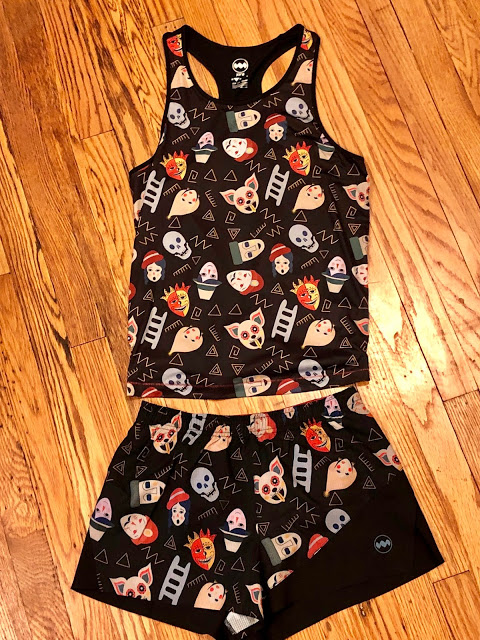 With comfortable lightweight, chafe free materials, these singlets can go the distance and are ever so rad with skulls, tattoos and a very Aztec style theme and with great quotes like "sustain the pain." What is there not to say about Rabbit from Santa Barbara, CA. A well manicured company, killer race team on the up and coming and apparel that just feels so good! It washes well, wicks well and does not chafe on long runs over the 26.2 for me. Each year gets better and better for these cats from SoCal. Dave is the Owner and Founder of Ame For It Run Coaching www.ameforitruncoaching.com a worldwide run coaching service helping runners of all abilities fulfill their goals and dreams on the roads, track and trails. Dave is 37, a tries to stay in sub 3:00 marathon shape, while also making the full time commitment to the Ultra scene. He runs anywhere from 40 to 75 miles per week depending on time and availability due to being a full time coach. 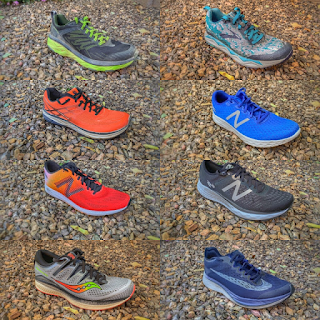 His preferred trainers are lightweight performance on the roads and trails. 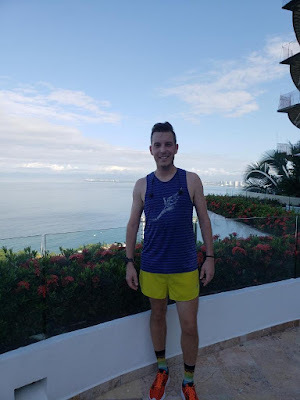 His run background comes from many years in the running specialty industry starting with managing run shops across the country to the eventual Sales Manager role with various run brands. One of my go-to daily trainers for basically any distance or pace, the Zoom Fly Flyknit is the shoe that keeps on giving (if you can manage the narrower fit). 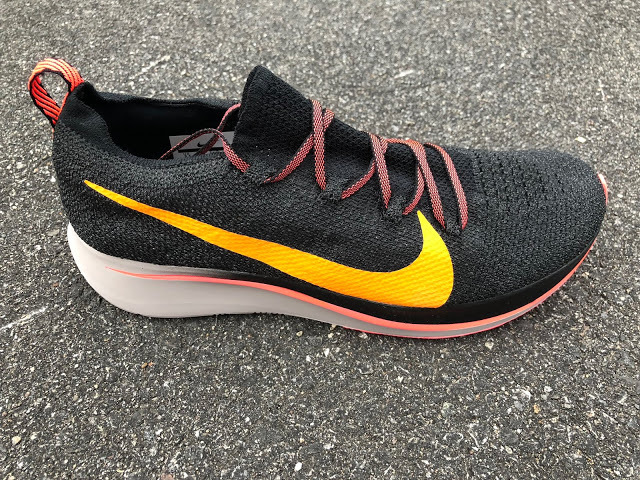 We lovingly called it the Flyknit 2.5%, and while the performance isn't on par with the Vaporfly 4%, it doesn't need to be - this is a shoe I keep coming back to, time and time again. A terrific hybrid of racer (I won a 1-mile race in them) and distance trainer, the Zoom Fly FK is one I'd buy again. This was a surprise pick for me - a lightweight, no-frills trainer that's made in Kenya (a first for me). 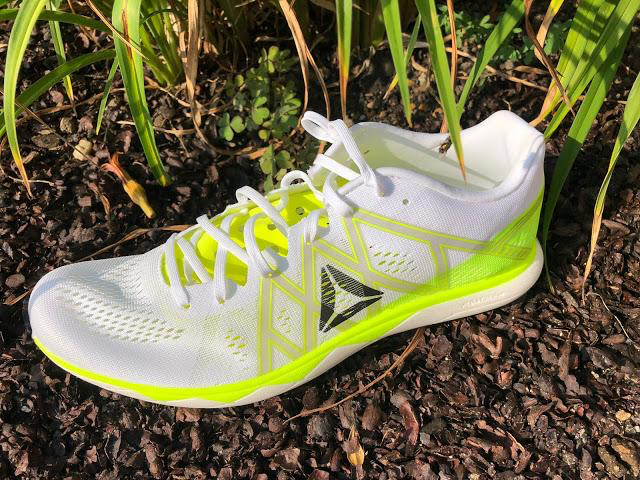 The Iten is the first shoe from Enda Sportswear and, at $100, is a strong choice for runners looking for something light, easy to wear, and with a story to tell. After 200+ miles, I can confidently recommend the Iten - but beware, the 4mm drop may come as a shock to some runner's achilles (mine included!). 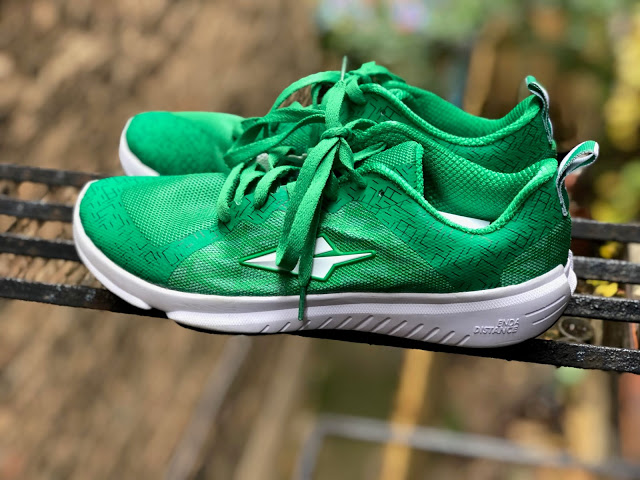 In a bright green, red, or more subtle black, the Iten is a terrific trainer for a variety of paces and terrains - even the Great Rift Valley. I imagine we'll see this shoe on a number of 2018 lists because, quite frankly, it's exceptional. While the Vaporfly 4% had the hype (and deservedly so), the Fast Pro had, for me, the results: post-collegiate PRs in 5K, 10K, and half-marathon (67:43) in this 4 ounce rocket. The downside? At $250, racing flats have careened past trainers in price and if you want to pick up both of my 2018 picks, you're dropping half a grand for the shoes alone! For those who can manage the price tag - and primarily race 13.1 and under - should look seriously at the Fast Pro. Another reasonably easy pick here, and the results speak for themselves. I unfortunately didn't get to take the Vaporfly out for a marathon this year, but will (if all goes to plan) gunning for a PR at the Austin Marathon in them. Every reviewer here at RTR who has tried the VF4% has come away a fan, and I can't imagine that's unique - seemingly every road race has become a sea of orange-red. Again, the biggest drawback is the price ($250 retail) but for those who are racing half- to marathon distances, I think it's money well-spent. I've described road races as a sea of homogenous orange-red Nikes... but if you show up in this Janji kit, you're sure to stand out from the masses. Light, comfortable, and for a cause (Janji gives a percentage of the proceeds to help develop clean water in the targeted country), this singlet-short combo will help you look good and feel good. You need to look fast to run fast, right? I confess that I, like many runners I know, hang on to gear for a long, long time. Some of the shorts and tights I own were undoubtedly purchased by my parents for me when I was running in middle- or high-school cross country. 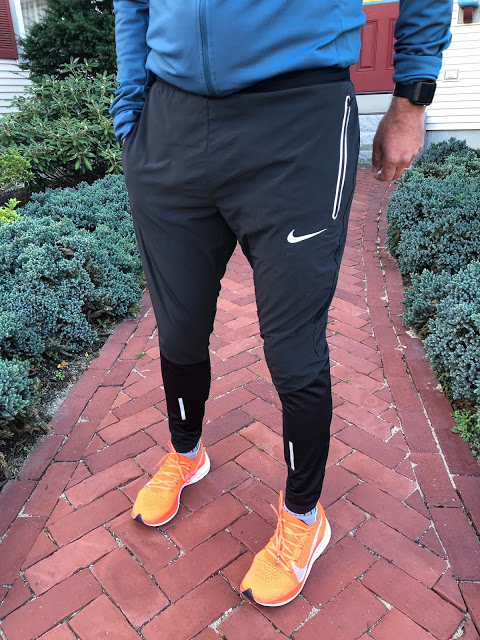 Still, just because something works doesn't mean it can't be improved upon - and the Nike Swift Pant (reviewed by Sam, above) and Shield Tights are two absolute winter staples. I'm a fan of the tights - especially here in Chicago, where the lakeside wind can make pants feel like parachutes - but whatever your style, these options should give all-around comfort, performance, and last a hell of a long time. I know, I know: Garmin rules the running watch world. And for good reason - I've owned several Fenix, Forerunner, and Vivoactive models in the past few years. 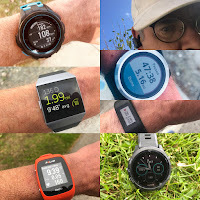 The Forerunner 645 Music is, in my opinion, the perfect running watch. So why is the new Apple Watch on this list? 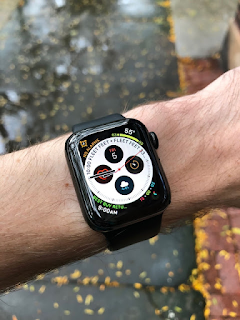 I only run an hour or so per day - and the rest of the time, the Series 4 trounces Garmin for utility, convenience, and aesthetics. Having always-on cellular LTE gives me the comfort of emergency service availability (despite the high, perhaps ridiculous cost), and the ability to quickly swap watchbands - quicker, curiously, than the Garmin "quick fit" system - means I can go from sweaty post-run to brunching in no time. 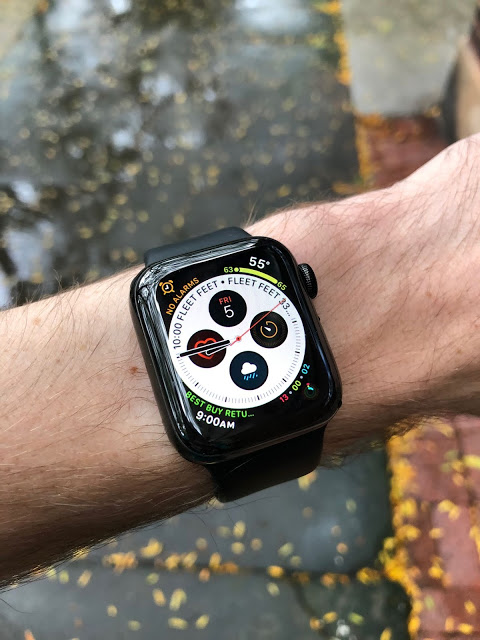 There are undoubtedly some quirks, but the Apple Watch has stayed on my wrist for the better part of a few years, and I'm always missing it when I test something else! Another surprise pick for me, the RunScribe+ footpod system has become an indispensable part of my daily training. Measuring a dozen metrics across two lace-mounted units, there is a learning curve to the RS+ ecosystem, but the outcome is fun, informative, and ultimately actionable data that can't be found elsewhere. 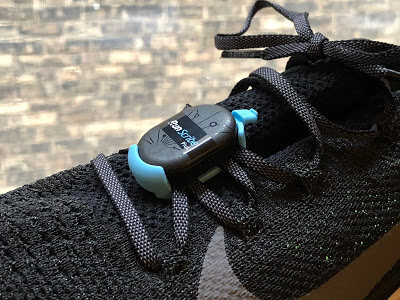 The upcoming ShoePrint feature - set to roll out in early 2019 - may just revolutionize the RunScribe platform. 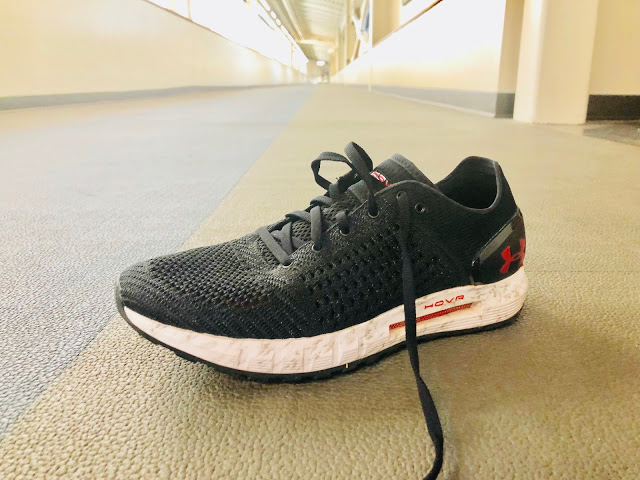 But even without that feature, I'm constantly switching these little pods onto whatever shoes I'm testing - it's just addicting to collect and analyze all the data. Let me put it this way: when I spent a few days running barefoot on a beach for vacation, I seriously brainstormed ways to strap these to my bare feet. They're just that fun.